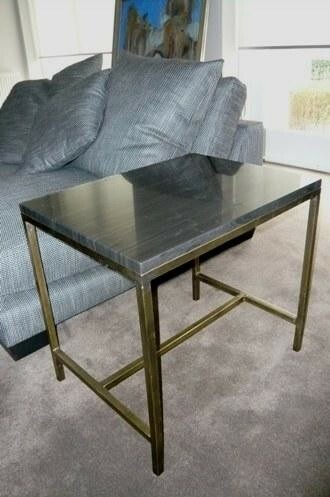 Marble is another wonderful product we use in furniture. Bronze frames are made and then aged in our factory to give a soft subtle colour. Any variety of marble would be complimented with the Bronze finish. This also makes the tables unique and quite special, compared to any number of chrome square tube framed tables now available, in furniture outlets.